Forty years ago, the BBC premiered a new science fiction show by Terry Nation, the creator of the Daleks. Nation had quite the record of well received scripts to various television shows and had created and written the previous Survivors. 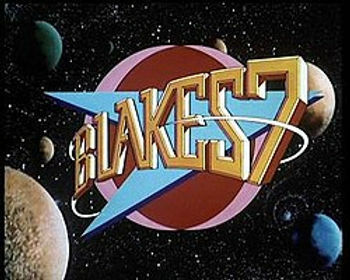 But then along came Blake's 7. This dystopian drama dealt with a team of renegade outlaws who followed what many perceived to be a fanatical leader in Roj Blake. From the opening episode with its dark and disturbing ideas to the concluding episode that was supposed to be a cliffhanger for a new season to follow, fans loved watching the adventures of Blake, Avon, and the rest of the crew of the Liberator and Scorpio. In this look back, John offers a brief breakdown of the four seasons, choosing scenes from each season to highlight key moments as a means to make the argument that this show is in serious need of a reboot and return to television. On this week's edition of The Weekly Podioplex, audiences escaped the Rampage and sought solace in A Quiet Place. The victory for the silent horror will be short-lived because this week marks the arrival of Thanos and Avengers: Infinity War. There's nothing else going on at the box office. Everyone else gave Marvel the floor. On the home entertainment front, it's still April and it's still slow. Paddington and Maze Runner make sequel premieres, and Bluetooth pioneer Hedy Lamarr makes a digital debut. I also share a story of culture shock with Grease in HD. After that, Denise brings news of more Solo films, another Jumanji, animated Fast and Furious (what!? ), and more. Enjoy the journey, because it's showtime on the Weekly Podioplex, brought to you on The Chronic Rift Network. See you on the other side of Infinity. We are Joe and Toni B. Heath. And we are going to watch every episode of Classic Who and then tell you about it. Neat, right? Fast and Furious going animated on Netflix? Shop the Rift’s Best Bets or search our Amazon Store. 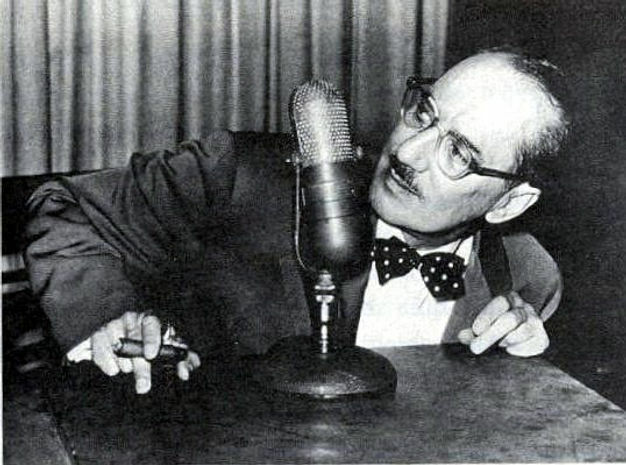 First up on “You Bet Your Life,” Groucho Marx interviews a female Air Force sergeant and the parents of triplets. Then on “Dragnet,” a brightly-colored car leads detectives Friday and Romero all around Los Angeles, from its mean streets to an amusement park. "The Secret Word is Table"
John returns with a new slew of reviews from the various corners of pop culture. Dan Persons reviews Isle of Dogs. J. Andrew World takes a retrospective look at the music of Todd Rungren. 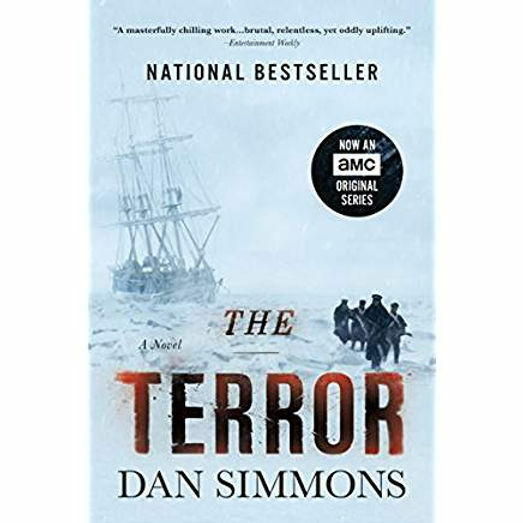 Denise Lhamon has mixed feelings about The Terror by Dan Simmons. Ken Holtzhouser referees the debate over revivals versus reboots. John is bringing a revamped podcast of his to the table (The OSI Files) and Michael Falkner offers a near complete listing of pop culture conventions around the world for the month of May. It's all here and more on a new In Review episode of The Chronic Rift. 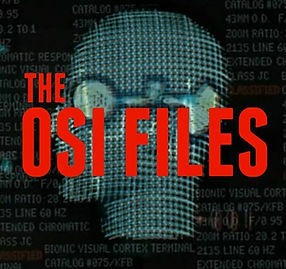 8:00 - John talks the revamp of his bionic themed podcast, The OSI Files (set to premiere on Facebook Live on May 4 at 9:00PM EST). 11:20 - Michael Falkner presents our Pop Culture Convention Guide. 16:35 - Dan Persons offers his thoughts on Wes Anderson's Isle of Dogs. 26:40 - J. Andrew World takes a retrospective look at the music of Todd Rungren. Take a listen to J. Andrew's Spotify playlist. 48:50 - Ken Holtzhouser points out the good and the bad when it comes to Hollywood's obsession with reboots and revivals. On this week's edition of The Weekly Podioplex, audiences witnessed a Rampage. While we revel in the fact that this particular video game got a movie with The Rock, let us also consider that it has only one more week to earn back its budget before Marvel shuts that door forever. Also standing in Rampage's way are three new releases: I Feel Pretty, Super Troopers 2, and Traffik. Is fate on the side of the gorilla named George? 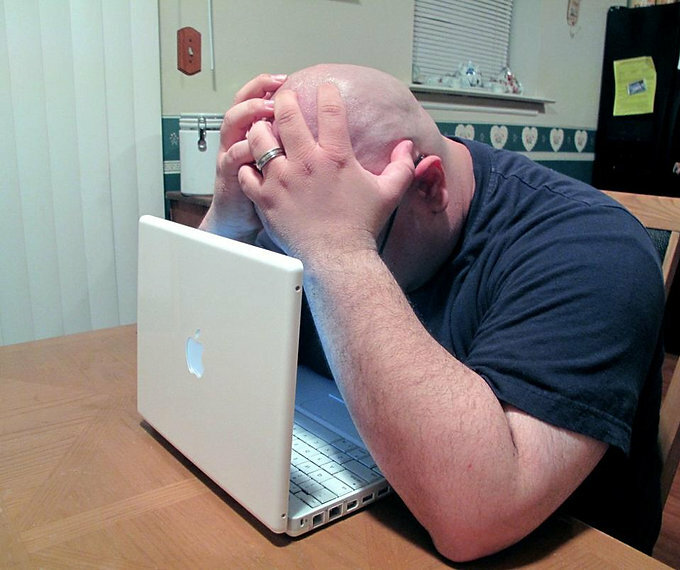 On the home entertainment front, it's April, it's tax season, and it's slow. You get The Post (Meryl Streep being awesome), The Commuter (Liam Neeson punching a train... or something), and Winchester (the ghosts of firearms past). TV on DVD buoys things up with the return of MST3K, the next round of Killjoys (RIP Dark Matter), and Perfect Strangers. After that, Denise fights the slow news season with a couple of stellar reviews before bringing this edition to a close. Enjoy the journey, because it's showtime on the Weekly Podioplex, brought to you on The Chronic Rift Network. 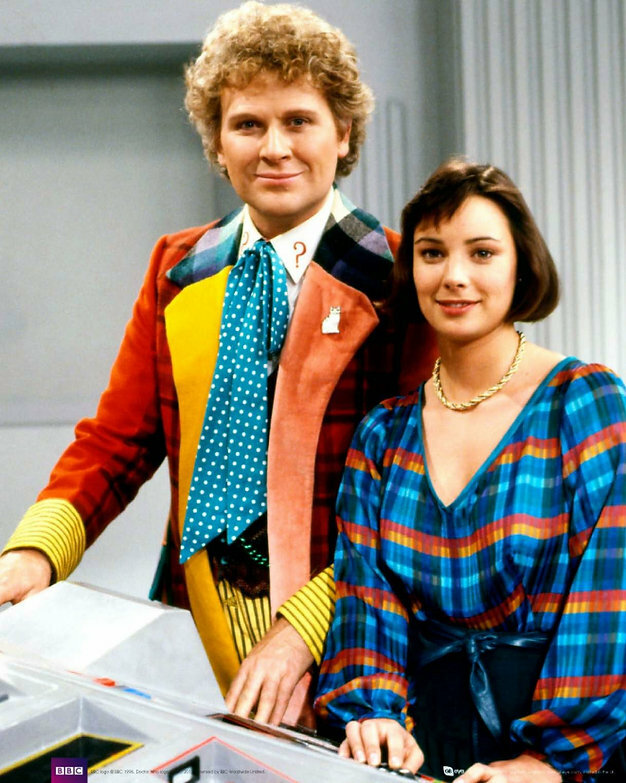 We pick up our look at the different eras of the cult British television series, Doctor Who with a discussion on the brief time of Colin Baker. John is joined by author Julio Angel Ortiz to discuss why Colin Baker does not deserve the reputation of being a poor Doctor. They break it down looking at the few episodes Baker appeared in from the perspective of those involved in the production. In addition, John also briefly Brings to the Table - a look at one of the oddest complaints about the new Netflix Lost in Space series - the "rabid feminist" approach. On this week's edition of The Weekly Podioplex, audiences found A Quiet Place, which is really what theaters should be. Seriously, Ted, no one wants to hear your new ringtone when the movie's playing, no matter how retro Nokia you went. Er, anyway... This week, monsters are still in vogue as we go on a Rampage, check in with Borg and McEnroe, and play Truth or Dare. On the home entertainment front, it's another slow week with The Greatest Showman, Phantom Thread, and Outlander among others. After that, Denise brings news of reboots and regenerations, as well as uplifiting tale of Black Panther in Saudi Arabia and empowering deaf actresses. Flash Pulp is an experiment in broadcasting fresh pulp stories in the modern age – 3 to 10 minutes, brought to you Mondays, Wednesdays and Fridays. Indiana Jones to regenerate into a woman? One of the most influential science fiction films of all time is celebrating its 50th anniversary and we're talking about it on the podcast. 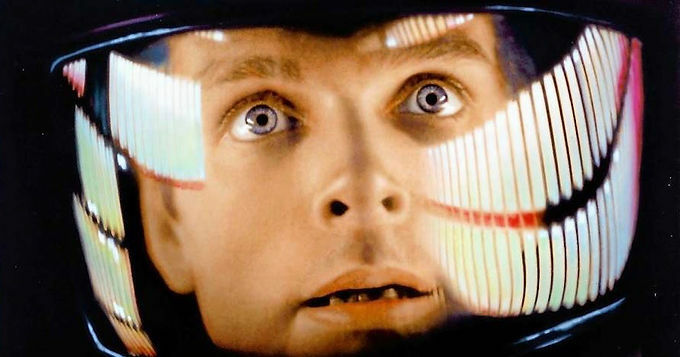 We look at some of the trivia surrounding the film, the special effects and how they hold up today, Stanley Kubrick's directorial choices and more. Joining John to chat about the film are movie critic for WBAI Hour of the Wolf Dan Persons, author Julio Angel Ortiz, and writer/editor Glenn Greenberg. 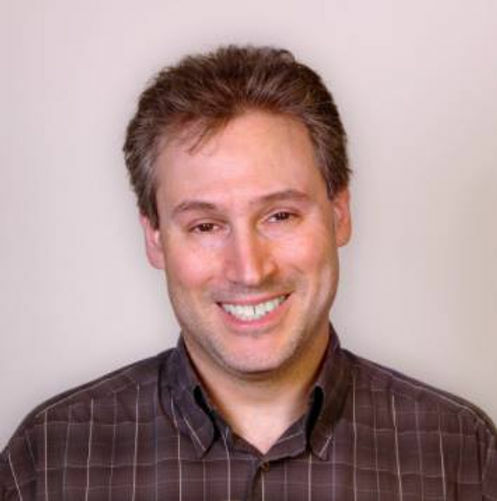 Glenn Greenberg is an award-winning editor/writer whose work has appeared in numerous books, comic books, Web sites, and lifestyle and news magazines, published by top companies such as Time Inc., Simon and Schuster, Scholastic Inc., Marvel Comics, DC Comics, Time Out New York, Lockwood Publications, and TwoMorrows Publishing. 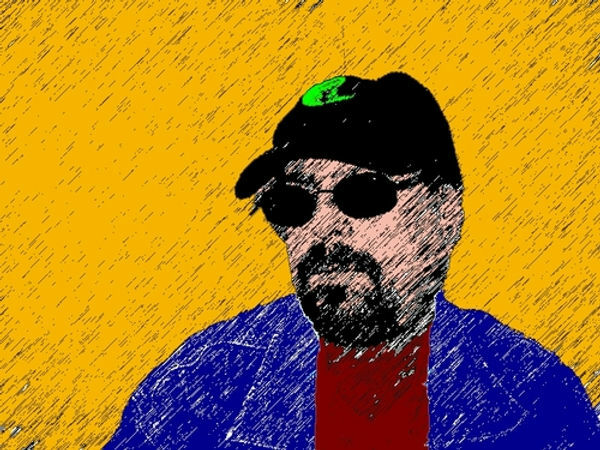 A long-time figure in the world of genre journalism, Dan Persons'movie reviews can be heard on Hour of the Wolf, every Thursday morning on WBAI 99.5FM in New York (wbai.org), and his coverage of upcoming films can be seen on CFQtv, which airs regularly on the Monster Channel (monsterchannel.tv). 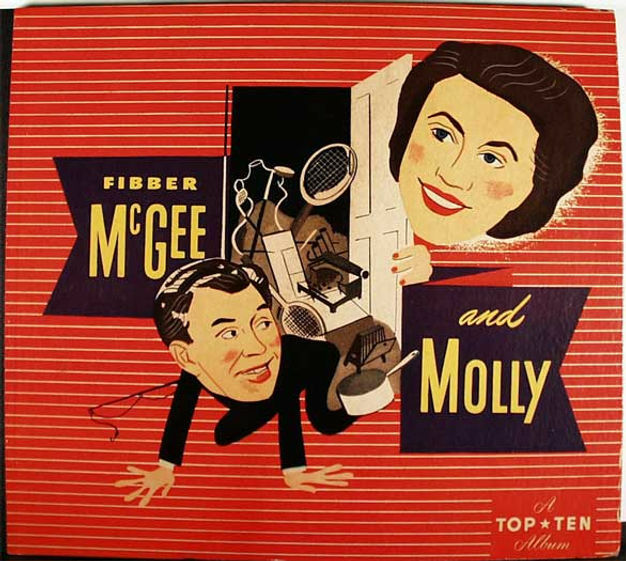 First up, on “Fibber McGee and Molly,” two duo race around town trying to reclaim a very valuable coin accidentally spent on some cigars. The comic coincidences and tongue-twisters will leave your head spinning. Then we present, for the first time, an episode of “Boston Blackie.” Blackie is a righter of wrongs, a reformed safecracker and jewel thief. He first appeared in 1914, and his tough-but-clever style has taken him from magazines to films, television, and, of course, radio. This is a baseball-themed episode. 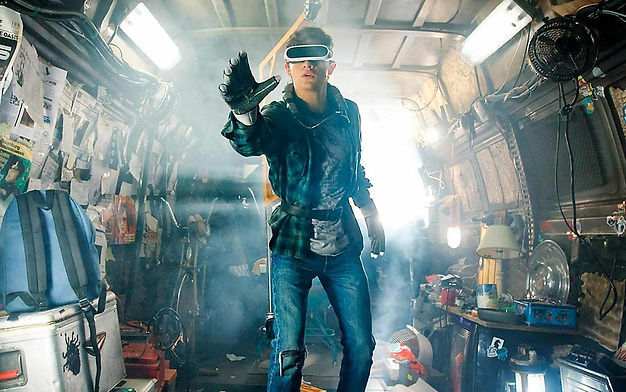 On this week's edition of The Weekly Podioplex, Ready Player One is ready in number one, but it's not the success that the hype made it out to be. This week, a horror film will use silence as a weapon agains the OASIS, and it's already looking strong. 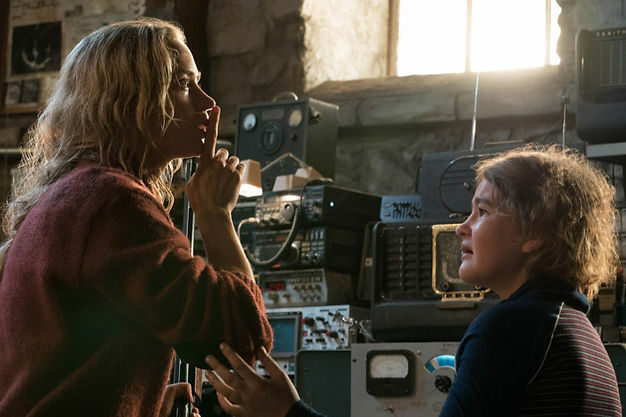 A Quiet Place is joined by The Miracle Season, Blockers, and Chappaquiddick in an attempt to upset the first place champ. On the home entertainment front, it's a slow week with Insidious, The Post, and a few smaller TV titles. After that, Denise laments the slow news week with a dose of King Arthur: Legend of the Sword. The Batcave Podcast: From the Files of the Batcomputer 29 - "Wonder Woman - Who's Afraid of Diana Prince?" We move into the post-review era with the first in a series of episodes looking at the Batman related works of the producers and stars of the show and at the pop culture influences from the series. First up, a look at William Dozier's attempt at adapting another DC property - Wonder Woman. 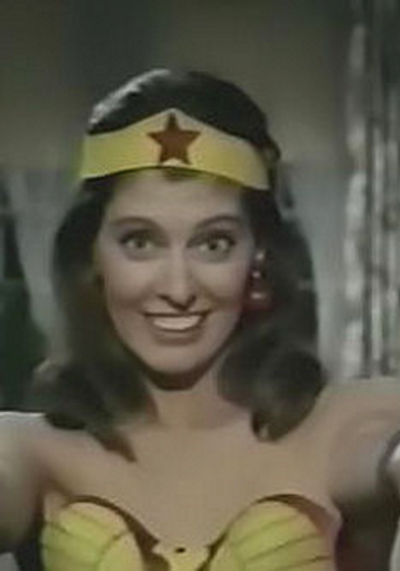 In this curious short, "Wonder Woman: Who's Afraid of Diana Prince?" we are only given a taste of the potential of the series. Which begs the question, why wasn't a full pilot produced, especially in light of the fact that a full script was commissioned, co-written by Batman scribe Stanley Ralph Ross? This question and possibly a few more will be asked by John and his guest, Chris Franklin of the Super Mates Podcast. Chris Franklin is a mild-mannered graphic designer by day, but at night, he retreats to his secret headquarters festooned with action figures, and podcasts with his long-suffering wife Cindy on the Super Mates podcast, a proud part of The Fire and Water Podcast Network. Together they take a look at all things geeky, such as comics, TV, movies, and toys, from a couple’s perspective. On this week's edition of The Weekly Podioplex, the box office has the Biloxi Blues as the team of Broderick, Walken, and Miller bring stageplay to the silver screen. This week, the recruits contend with an irreverent poltergeist in the guise of Beetlejuice. We're not saying it again. On the home entertainment front, five good titles come to your VHS player, including the adorably zany Princess Bride and the sci-fi stunner Innerspace. After that, Denise brings words of Phantoms in the West End, a new Oprah show, Aliens with Sigourney and ALF, and Tom Cruise. TechnoRetro Dads share the fandom and fun of their youth with their families as they build a bridge from the past to the future through the time spent with their kids in the present. Join JediShua and shazbazzar as they reminisce about the past while exploring the future of some of their favorite science fiction and fantasy properties of their youth. Listen in to discussions about the movies, music, games, and comics of the 70s and 80s as they share the days of their youth with their own kids in a positive, family-friendly atmosphere. If you’re a TechnoRetro Dad, the child of one, or just fondly remember the sci-fi/fantasy properties of the 70s and 80s, then this podcast is for you!